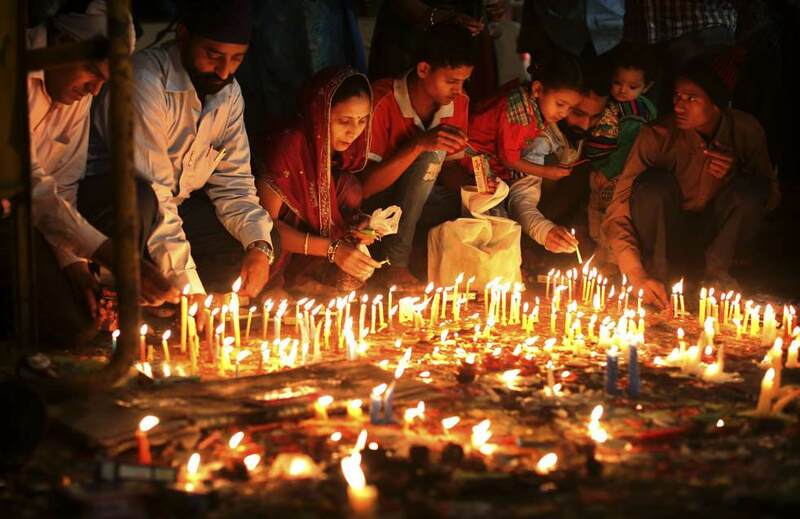 This last week marked the celebration of Diwali, The Festival of Lights, for Indians around the world. Hindu, Jain, and Sihk differ in the tenets that they celebrate. One that resonates with me personally from the post is the celebration of enlightenment in Jainism. A day to celebrate knowledge over ignorance is a worthy tenet. I advocate for the celebration of enlightenment to be a global and daily affair for all. We should celebrate the tools that are readily available to us (internet, smart phones, computer) to enable us to be forever connected to world, so that we can understand it better, and understand ourselves better. Now, we can conveniently feed our curiosity and enrich our lives in myriad ways. I will think of Diwali every time I turn on a switch of a device; I have the opportunity to be enlightened should I choose. Besides enlightenment, another virtue that I think about is resolve. To me, resolve means having the courage and commitment to change the current circumstances in light of being enlightened. This is particularly difficult for our own daily affairs. Is there a day to celebrate resolve?